The North Island is filled with surprising contrasts: from the idyllic Coromandel where you can soak in a hot pool dug in the sand, venture through a geothermal wonderland of geysers, take a side-trip to Middle Earth-esque countryside, have underground adventures in caves lit by glow worms, and admire lush rainforests and even a volcanic desert – you’ll be amazed by it all. This small-group guided tour of the North Island will visit Coromandel, Waitomo, Rotorua, Taupo, and Wellington, with the option to visit Hobbiton, and the Tongariro Crossing along the way. 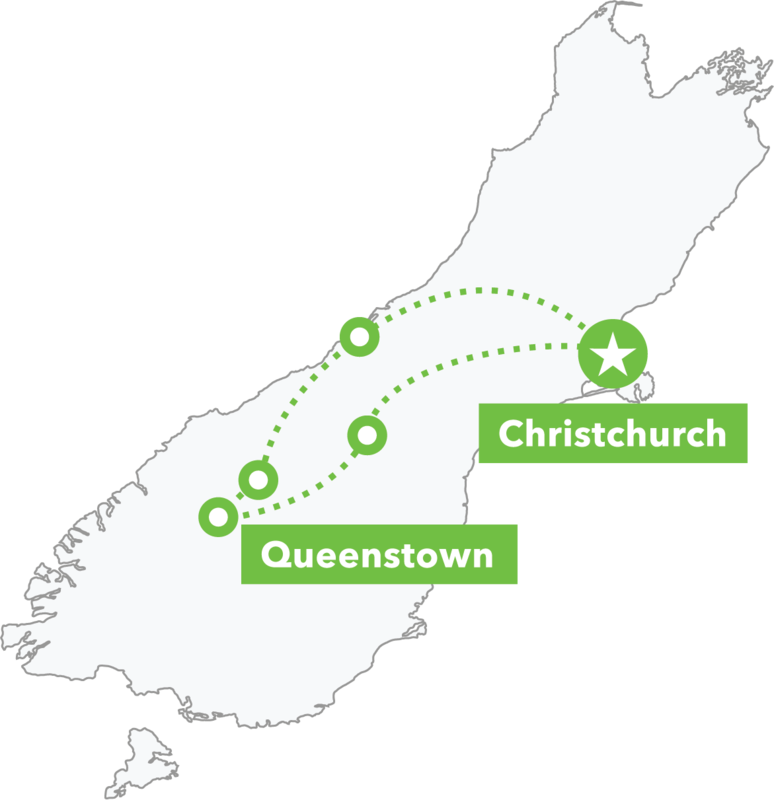 You can choose to travel from Auckland through to Wellington, or take the reverse itinerary. As with all our tours, we do include a few 'must-do' events including a Māori cultural night and traditional Māori hāngī dinner cooked in an underground oven. You’ll see a massive range of optional activities available to add, from bungy jumping and white water rafting to canopy forest zipline tours and scenic flights. None of these are compulsory; just add the ones you want. 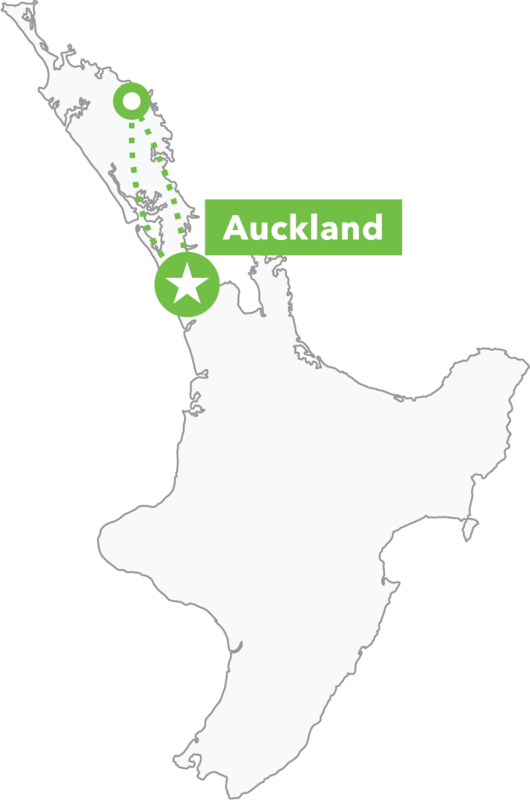 As the tour starts early in the morning, you can opt to book accommodation in Auckland with us the night before the tour – only having to walk downstairs on the day the tour starts makes for a stress-free morning! The tour price includes dorm share accommodation (4–6 share) but if you would prefer your own space you have the option to upgrade to a private room for the duration of your tour. You can select this upgrade when you start building your tour online. Please note: private room upgrades are not available for the one-night shared cultural experience (Murupara). If you arrive in Auckland with a few days to spare either before or after your tour, we recommend a Auckland Harbour Bridge bungy jump! Visit Hobbit Holes, enjoy a Green Dragon ale and get your film geek fix. White water raft over the highest commercially rafted waterfall in the world! Let’s start as we mean to go on: road-tripping through epic scenery on the way to epic destinations! Tonight we soak up the beachy vibes of the Coromandel. We’ll explore Cathedral Cove by foot or by kayak, then wend our way to Waitomo where you can take a glow worm cave tour. Today you can tick both black-water and white-water rafting off your bucket-list. When we get to Rotorua we’ll visit a geothermal valley and meet kiwi birds! Take a Hobbiton side-trip, go ziplining through native forest or try river sledging before we visit a living Māori village to learn the haka and eat a hāngi. It’s only a short drive to our next destination, but there’s heaps to discover! We’ll see mesmerising mud pools and the thundering rapids of the Huka Falls. Today you can relax in a thermal hot spring, tick off some more bucket-list items or take a guided walk of the Tongariro Crossing. We’ll drive across a volcanic plateau and head to Wellington where film buffs can make a pilgrimage to Weta Workshop, and everyone will savour great food & drink.